Having two little girls of my own has reminded me of how much I enjoyed receiving little gift baskets and boxes as a child. I mean, who doesn't love getting like six presents in one? My girls had a party to attend for two sisters a few weekends ago, and I wanted to show you all how fun it can be to put together a Gift Basket for Little Girls. 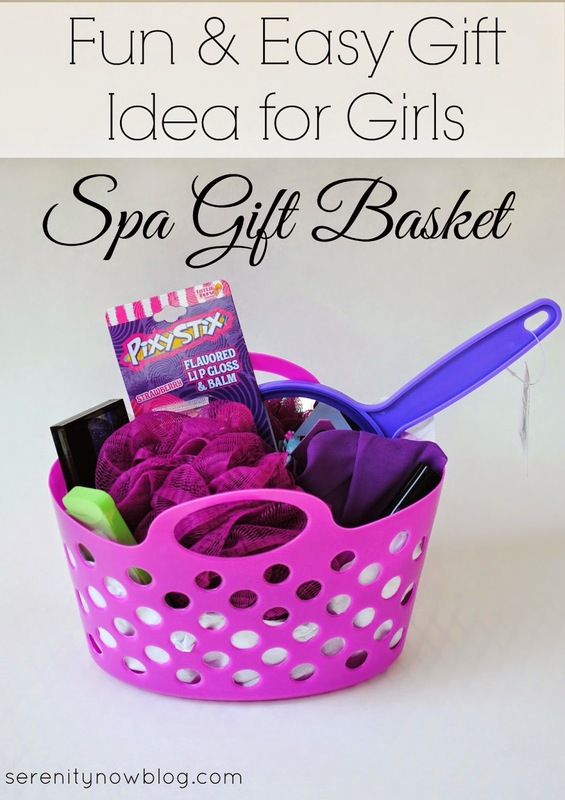 As I showed you a few years back with our Teacher Survival Kit, creating a gift basket doesn't have to break the bank, and it doesn't have to be a scary thing that has you driving all over town to various shops and stores, hauling small whiny children in and out of your minivan. Since the party was for two sisters who are just two years apart, I wanted to get them gifts that would be similar enough to keep them from fighting (or maybe it's just my kids who do that). 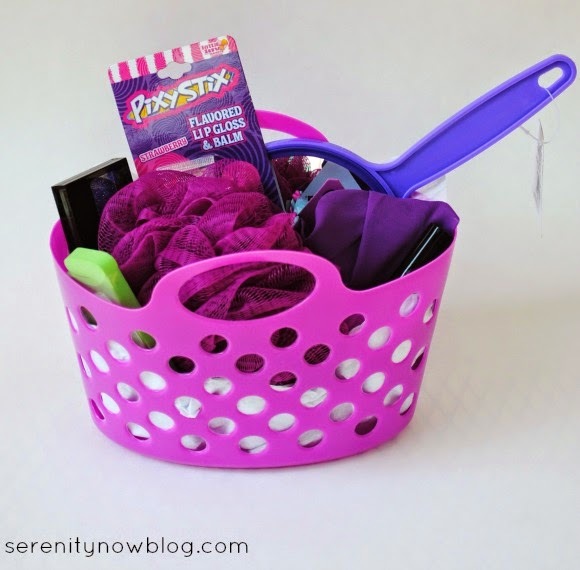 When I spotted two cute plastic bins in our craft stash, I knew I had a great starting point! With the exception of the Crayola crayon-shaped lip balm (Target! ), all of the other gifts came from our local Five Below store. Confession: I've only ever been in this store once before, and it was several years ago when I was looking for something to wear for my 80s themed birthday party. They had so many fun little things...this is a great spot to shop for Christmas stocking stuffers! 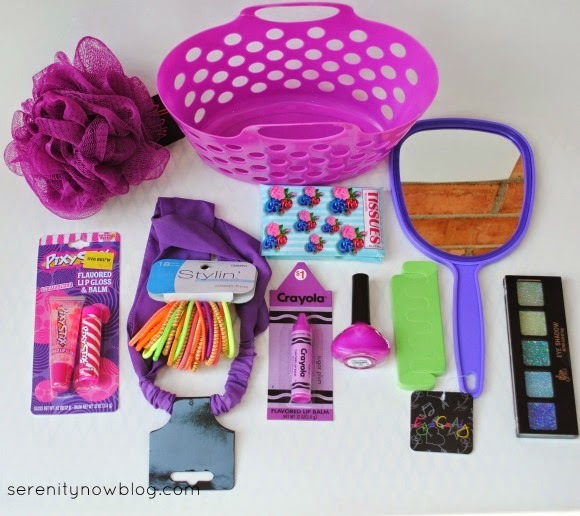 There are tons of themes you could try for a gift basket (I'll add some to the end of this post), but the mom mentioned her girls were hoping to get some play make-up. Well, that's all I needed to hear! 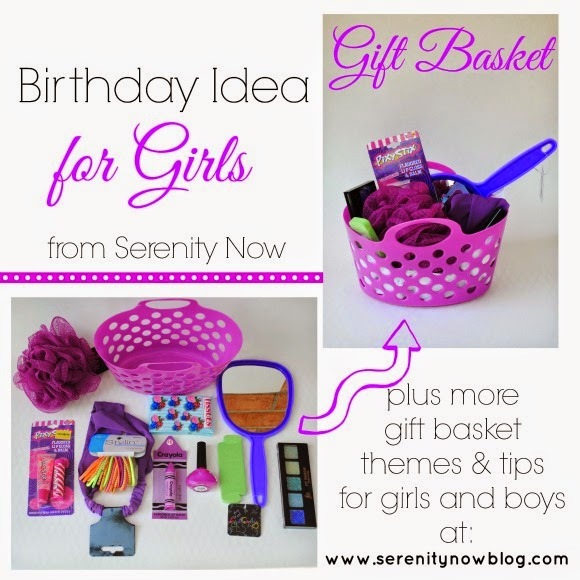 I had a blast looking for pretty, make-up/spa stuff for the birthday girls. Yes, we color coded everything because it's just more fun that way (and easier for the recipients to keep track of things). 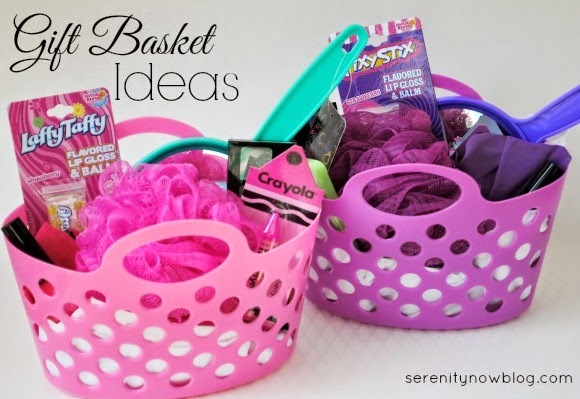 The other basket, as you can see, is pink. 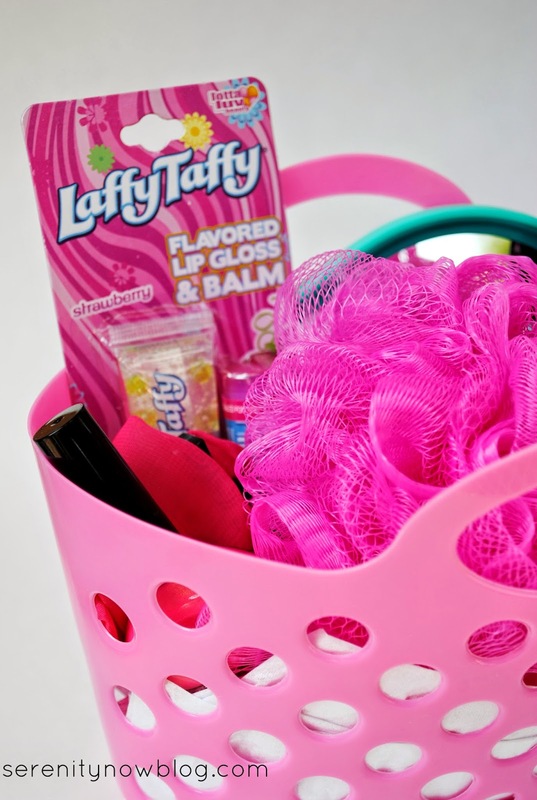 What's your favorite thing to include in a gift basket? This is a really great idea Amanda, and so unique too, any recipient would be thrilled to get these!